and to share the inspiration of art with family and friends. Wrap up a gift membership and give this special present for the holidays. 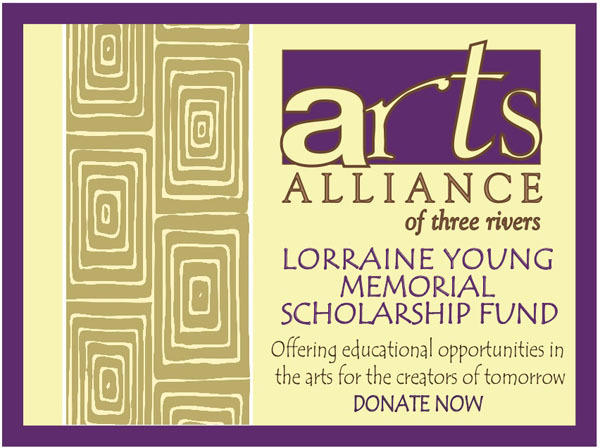 Support the Scholarship Fund of the Arts Alliance with your generous donation. Become a $500 sponsor for an annual scholarship to a local art student. Become a sponsor for phenomenal music concerts or give a season ticket. This entry was posted on November 27, 2012 by artsallianceadmin in Arts Consortium, Arts Visalia, Fresno Art Museum, Giving Tuesday, Performing Arts, Scholarship Program and tagged Arts Alliance of Three Rivers, Arts Consortium, Arts Visalia, Fresno Art Museum, Three Rivers Performing Arts.